Hand Grist Mill: For small grains, seeds and other dry materials. 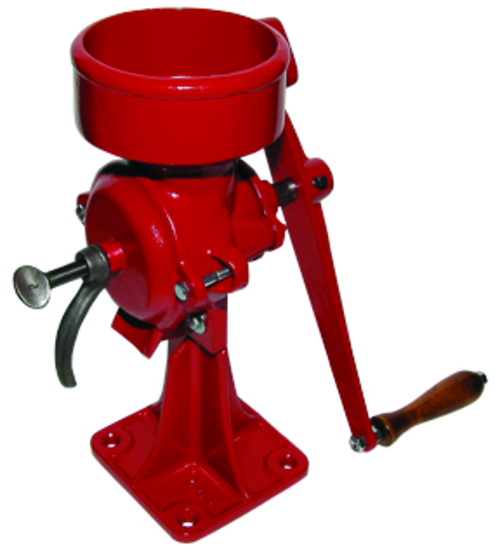 Grinds all dry materials including shelled corn, peas, beans, coffee and other materials of similar size. Makes cornmeal, whole grain flour and grinds animal feeds. Special alloy grinding burrs provide long life. Adjustable for coarse to fine grinding. Capacity of about 10 lb. per hour. Hand operated.